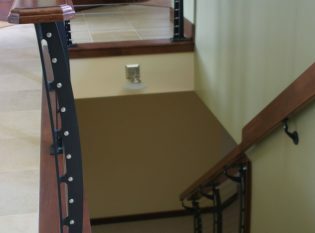 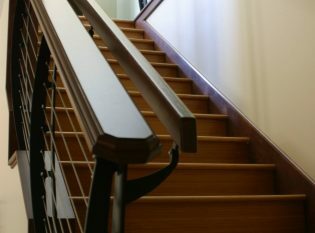 Description: Keuka Style cable railing and graspable handrail. 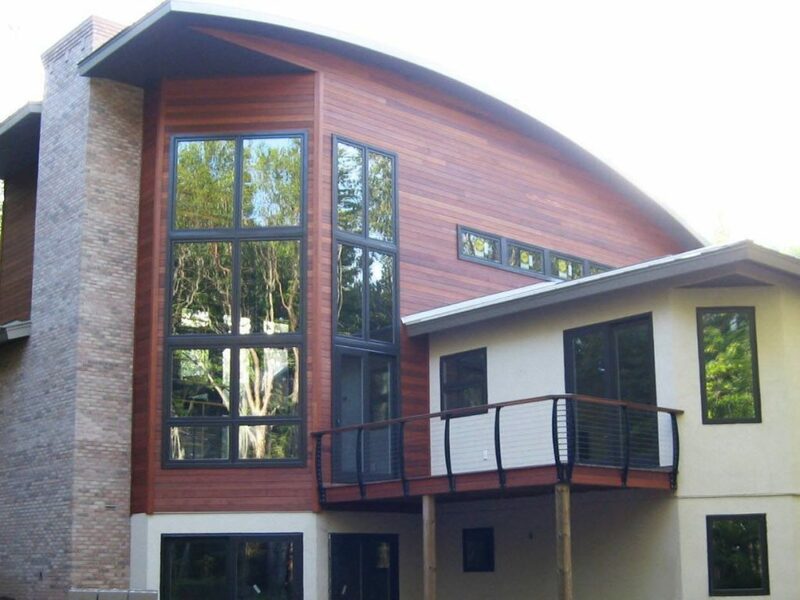 Our Keuka Style curved cable railing pairs perfectly with this Michigan home’s curved roof. 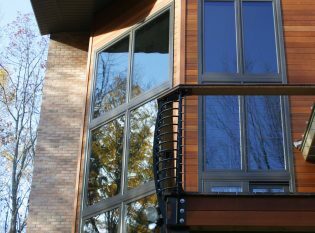 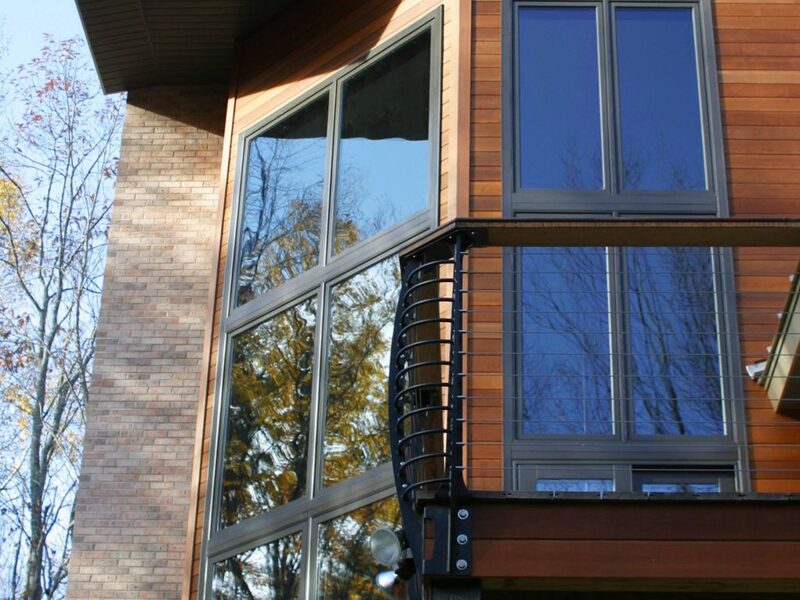 To match the windows and siding, we used “Raven Black” powder-coated steel for the railing posts and added a wood top rail. 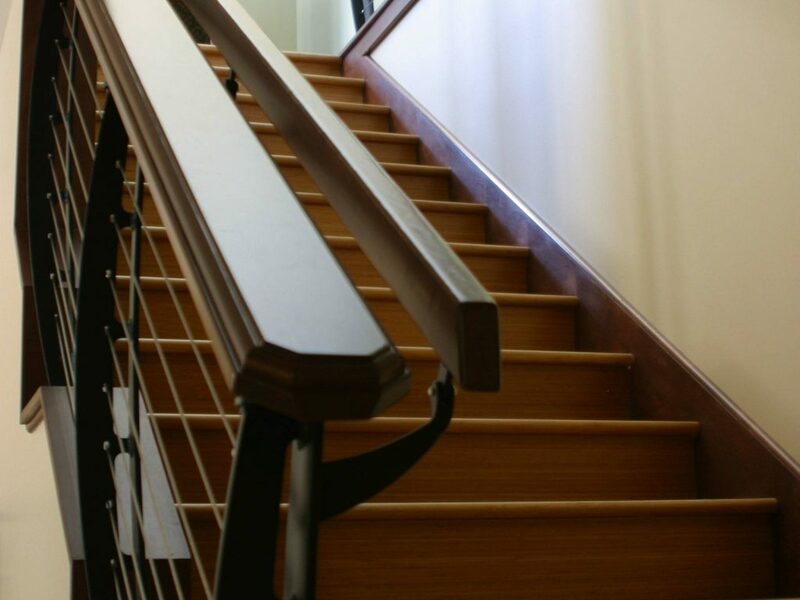 For an interior staircase that sits up against a wall, we crafted a cable railing for the exposed side and a custom graspable handrail that attaches to the wall for the opposite side.